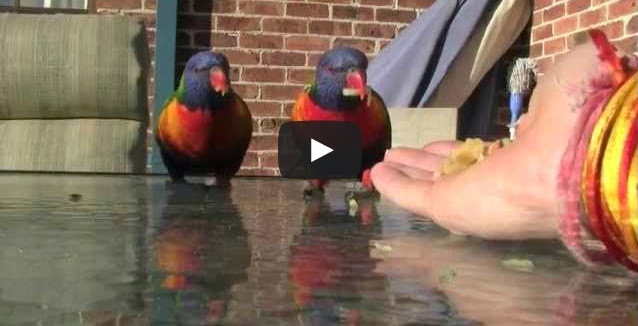 Last year when I was at home I was able to feed the local Australian Parrots better known as Rainbow Lorikeets. This pair of birds are almost like family pets because they come knocking on our window almost everyday! They love fresh fruits and live off nectar for flowering trees. There are so many different kinds of parrots in Australia and in Sydney the Rainbow Lorikeets are very common. They also have a nice song that they sing all throughout the day but especially at sunrise and sunset. The birds of Australia is definitely something I miss while I live overseas.